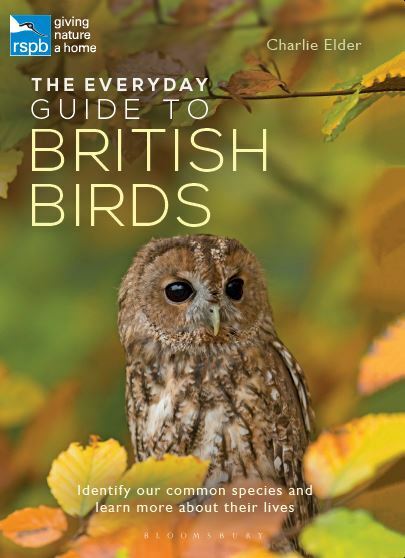 My latest book, The Everyday Guide To British Birds, published by Bloomsbury and an RSPB title, is an illustrated guide which aims to help birdwatching beginners and nature enthusiasts identify our most common and widespread species, and learn more about their lives. It describes those birds one is most likely to come across in the garden and beyond, from woodland and farmland to rivers and coasts, and the fascinating qualities that make each of them unique. Keeping identification simple by focussing on probabilities, rather than innumerable possibilities, it also flags up species, some scarcer, that could cause confusion and features hundreds of photos. 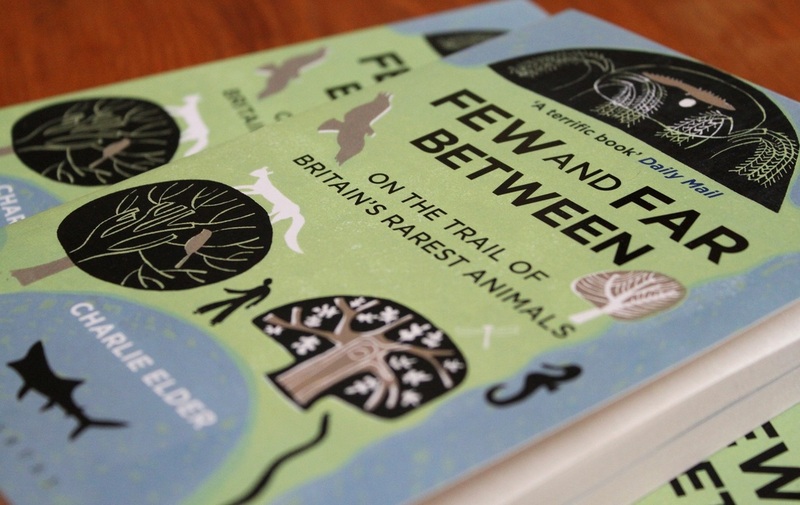 Few And Far Between, published by Bloomsbury, describes my search for ﻿Britain's rarest and most ﻿endangered animals. Travelling around the UK, and meeting experts along the way, I tracked down secretive and scarce species living on the brink - ranging from the iconic Scottish wildcat and surreal spiny seahorse to the striking golden oriole, outlandish wart-biter cricket and sinister black rat. The book celebrates the diversity on our doorstep and highlights the natural treasures we risk losing. Trying to find a single rare species is a daunting enough challenge, however I set myself the task of finding twenty-five in all, over the course of a year - five of our rarest mammals, five birds, five reptiles/amphibians, five fish and five invertebrates. Despite being an exhausting undertaking, given it was on top of a full-time job, it was extremely fulfilling, with plenty of thrilling encounters - some caught on camera. I would gladly start out all over again! 'Entertaining... fascinating tales of decline and hope... laced with humour this book celebrates the struggle to save Britain's most threatened species' - Brett Westwood, BBC Wildlife magazine, Book of the Month, April 2015. 'Elder takes readers on an evocative quest to find some of the amazing wildlife that we are lucky enough to have sharing our islands with us. You might read it in an armchair, but it'll make you want to get your boots on' - Tony Juniper, president of The Wildlife Trusts. 'An engaging, thoroughly researched and informative study of contemporary conservation' - Times Literary Supplement, July 31. 'It's a fantasy, a dream, to stalk, scour and scout out the UK's greatest natural treasures - and find them!' - Chris Packham, naturalist and TV presenter. 'Entertaining' - Stephen Moss, The Guardian, Best Nature Books of 2015. 'This book recounts Elder's experiences scouring the UK, coming face-to-face with all things secretive and scarce. From the wildcat to the black rat to the golden oriole, he reveals a cast of furred, feathered and cold-blooded characters that most of us would pay good money to meet' - RSPB, Nature's Home, Pick of new nature books. 'Thoroughly entertaining and informative from page one, Few And Far Between presents a delightful adventure for the reader. Elder writes with flair, imagination and clarity. Both forensic and familiar, he presents an examination of 25 creatures without recourse to sensationalism in order to share his - and their - story' - Simon Parker, Western Morning News. 'Potentially a bleak tome chronicling the catastrophic decline of our wildlife, this is in fact full of verve, wit and optimism' - James Fair, BBC Countryfile, Book of the Month, June 2015. 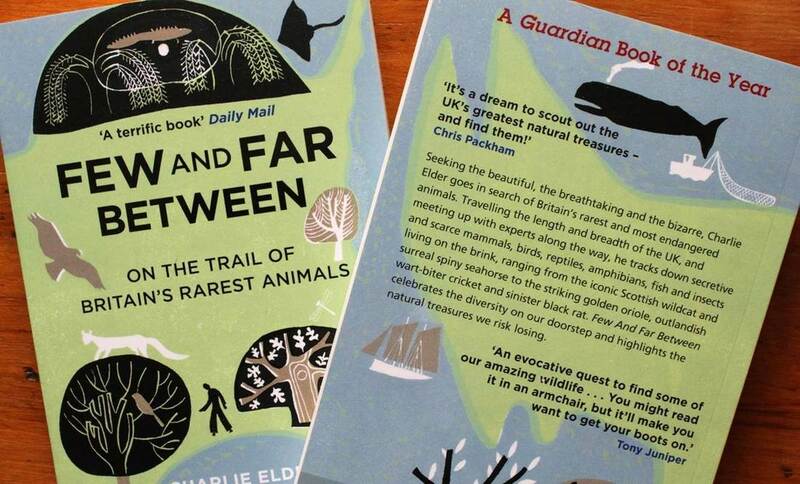 'In Charlie Elder's quest to seek out endangered species, now almost invisible nationwide, he brings back travellers' tales of wild places, feral landscapes and creatures of legend. Added to which, he is a cheerful, gregarious companion and guide' - Iain Finlayson, Saga. 'His enthusiasm and good humour are infectious' - Daily Mail 'Must Reads', April 2016. 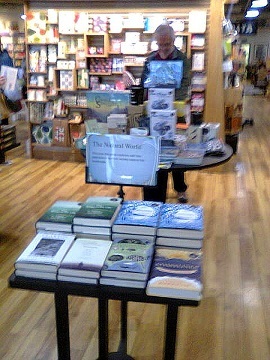 'Elder's engaging writing ensures that each of his quests brings with it a new sense of excitement and anticipation... The book acts as a reminder and a celebration of the astonishing variety of habitats and animals which can still be found in these islands' - Andrew Stoddart, Rare Bird Alert. 'The text is anything but contrived and mushy. He writes with purpose, clarity and humility... What distinguishes the book is the sense of thrill and wonder captured by the author' - British Association of Nature Conservationists, Ecos. 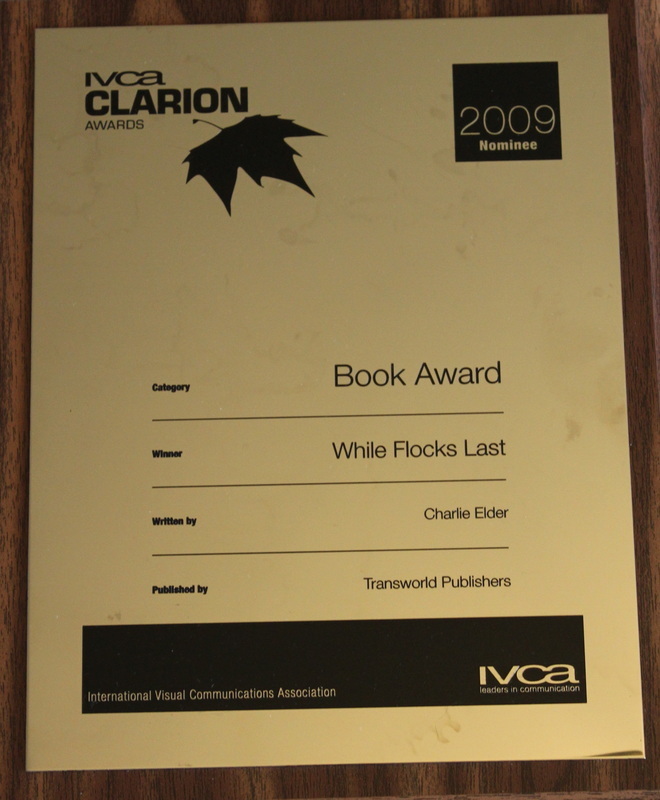 While Flocks Last was published by Transworld (Random House) in 2009 in hardback and paperback, and as an audio book narrated by former EastEnders actor Michael Tudor Barnes. It describes my travels to track down Britain's birds of highest conservation concern - our national 'red list' - finding out why species are in trouble and meeting experts endeavouring to save them from extinction in the UK. It involved visiting the remotest corners of the country to search for the then 40 species on the list. While some of the birds were relatively widespread but in decline, others were extremely rare or elusive. The book was a search for both birds and answers - asking the question: why does it matter whether we lose species? 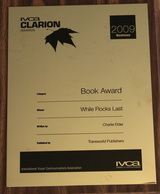 While Flocks Last was Highly Commended in the national IVCA Clarion Awards, recognising contributions to ethical, social or environmental debate.